Remembrances were held around the globe over the weekend marking the 15th anniversary of the terrorist attacks on September 11, 2001. In East Haven, Connecticut, the Shoreline Trolley Museum paid tribute to the nearly 3,000 lives lost by opening the doors to one of two surviving subway cars from the World Trade Center Station. The museum built a special, permanent display for the carefully restored car that was dedicated Sunday. About 200 people came out for a touching ceremony and a chance to board PATH car 745. 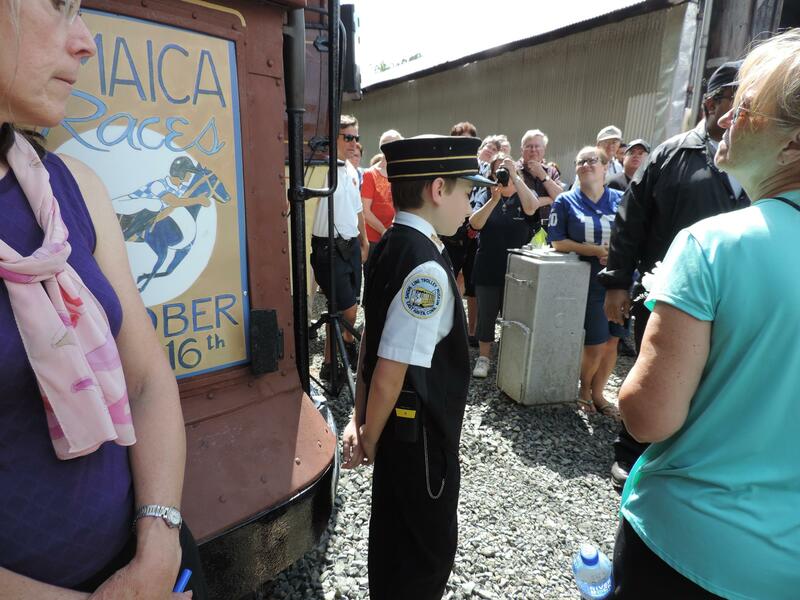 The National Anthem was sung, museum volunteers and politicians made brief statements, and then the museum’s youngest train operator, 13-year-old Joe Markowski from Guilford, cut the ceremonial ribbon. 13-year old Joe Markowski from Guilford at Car 745 dedication ceremony. “It was kind of emotional, I mean, I obviously wasn’t alive when the towers fell," he said. "But, you know, it’s things like this that keep that alive for people like me that are interested in this and even kids that aren’t. It could still teach them a lesson." A year ago the museum acquired the 50 foot, 40 ton subway car that once carried thousands of people daily between Hoboken, New Jersey and the underground World Trade Center Station. 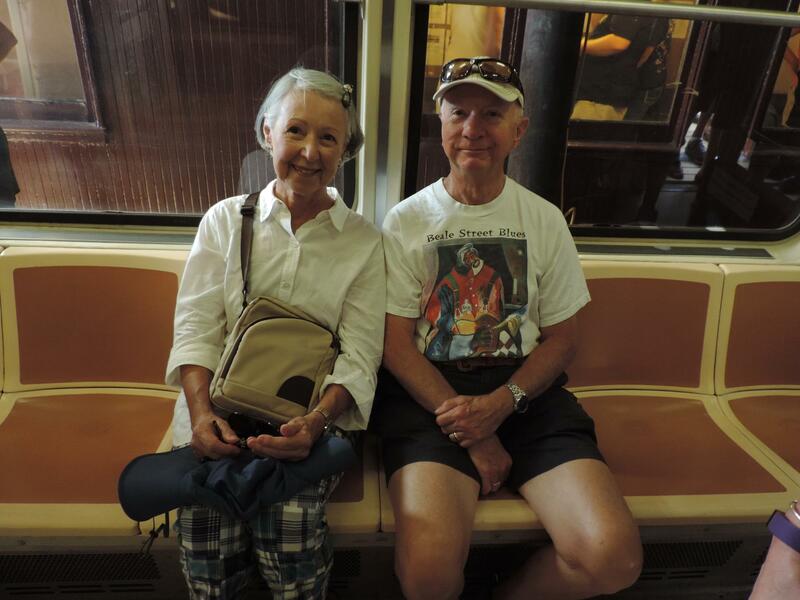 Fillmore and Joan McPherson from Madison were among the visitors aboard Car 745. "I think this is a very moving experience," said Fillmore McPherson. "I didn’t realize it was going to be quite as moving. I wanted to come here and actually sit in these seats, not just walk through, but sit in these seats and try to experience, although there’s no way that could happen, but just try to experience what might have happened to them." Car 745 is now officially open to the public and will be permanently displayed at the Shoreline Trolley Museum. Minutes ago in New York City, the reading of the 9/11 victims' names stopped temporarily. Three bells rang out to mark the time a plane crashed into the Pentagon 15 years ago today.